When you add a range that contains time values, Excel calculate the sum modulo 24, which means when he reaches 24, it goes back to 0. The solution is to use a custom number format. Activate the cell that contains your total time, and then choose Format, Cells. In the Format Cells dialog box, click the Number tab. into the box labeled Type. 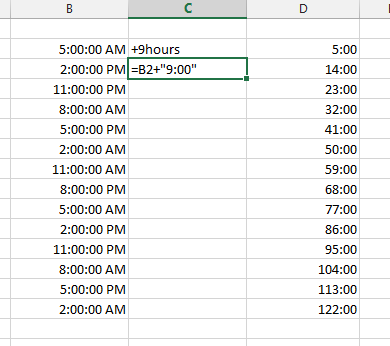 Using brackets around the hour portion of the format string tells Excel to display hours that exceed 24 hours. Hope this helped. Try our templates and examples.